"It's a call to action, it's a call against indifference, it's asking you to wake up and do something", says Heather Pesanti, the chief curator at the Contemporary Austin of the show Rodney McMillian: Against a Civic Death (until 26 August). The exhibition taps into the current political activism in Texas, where early voting started today for the state's primary elections on 6 March and a record voter turnout is expected. During the run of the show, museum staff have volunteered to register visitors to vote as soon as they walked through the museum doors. "I think we're in dire straits right now", Pesanti says. "One very simple and clear way you can contribute to the choices and government is to vote." This engagement fits in squarely with the Los Angeles artist's work, which has long focused on overlooked histories and political action, Pesanti says. The show is part of McMillian's award for winning the first Suzanne Deal Booth Art Prize, along with $100,000 and the publication of a catalogue. 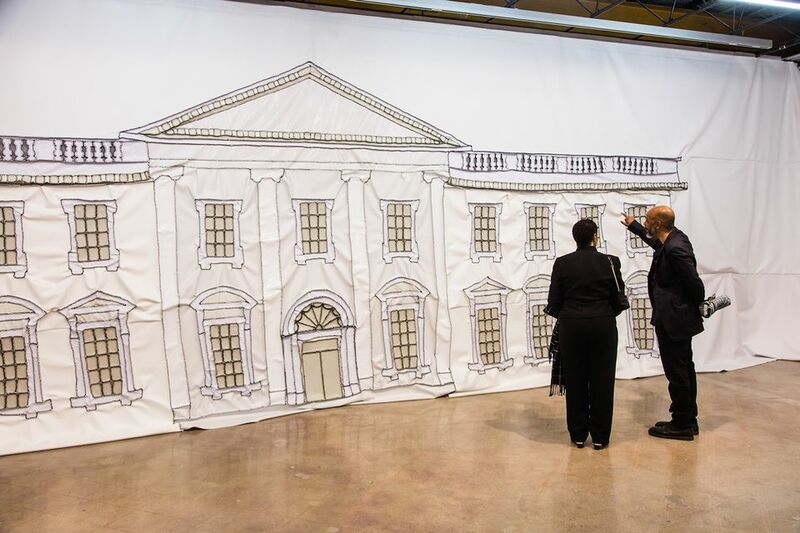 The first piece visitors encounter in the show is White House Painting (2018), a heavy vinyl curtain which McMillian has hand-stitched in the outline of the White House façade. 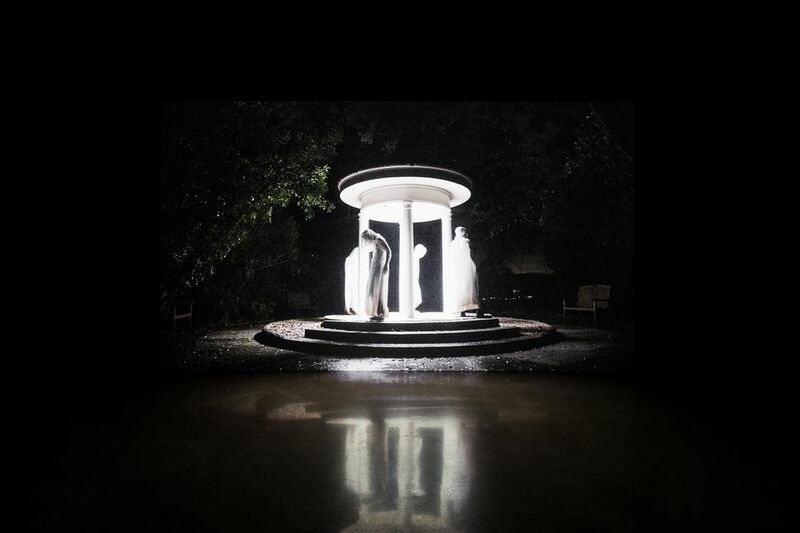 To get to the next room, they must lift the work and squeeze past it to watch Untitled (neighbors) (2017) an 18min video in which four dancer's from Ballet Austin, cloaked in white sheets that heavily recall KKK robes, perform movements choreographed by McMillian as they gather around a columned gazebo in the woods. Both installations play on what Pesanti calls the "architecture of power". "These neo-classical, imposing Italianate façades direct and subjugate people and keep you contained and keep you controlled and keep you feeling tiny," she says. Upstairs the colour scheme switches from white to black, and the feeling of smallness is exchanged for a more inspirational tone. The installation pod: frequencies to manifestationing (2016), for example, includes audio from Shirley Chisholm's speech at UCLA in 1972, when she was both the first black and first female Democratic candidate for US President, mixed with jazz music by Alice Coltrane. Around the corner is a prism (2016), another installation of floor to ceiling fabric, this time painted all black. Although visitors cannot enter through this work, if they lean in close enough, they can hear McMillian softly singing That's the Way of the World, by the band Earth Wind & Fire.